Maximising use of solar energy is crusial for enviroment. We optimise use of solar energy, to maximise result that we deserve. Solar power generation plant monitoring and analytics includes. This product is specially designed for solar pump Manufacturer or delear. How to install this product? 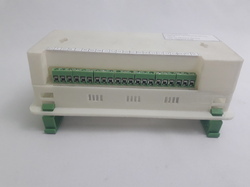 2) Mount model in panel with supply 12vdc and connect drive/inverter/tempareture sensor/Contacter. 3) Configure wifi to connect module to internet. 4) Go to website www.sensorman.in , entre product serial number. And you are ready to use web application. Why our customer like this product ? 1) You can keep track of all installed and installing product in one window. 2) You can keep track of all customer complin at one place , you can easily plan service to them. 3) Monitor and analyse solar pump opertation , this wil help you to make decision to improve efficincy of product. 4) You can control solar pump remotly , this will save you huge surprise cost to send service engineer on site. 5) Web application is free of cost along with harware!!! 6) This product makes you ready for market compitition. Wifi module is customisable OEM to OEM .